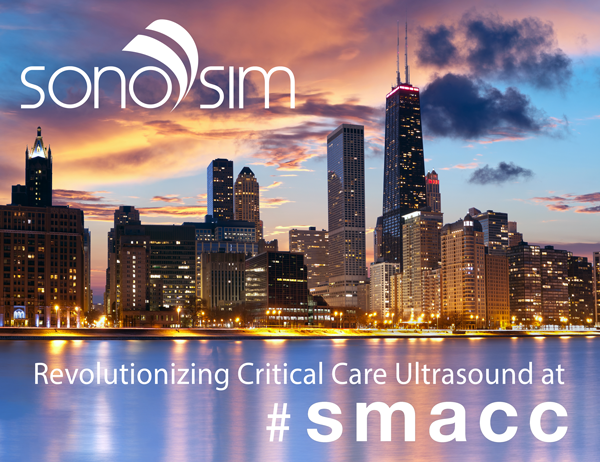 Join SonoSim at SMACC Booth #432 and experience the latest innovations in critical care ultrasound education and training. *Please email info@sonosim.com to claim your discount code. Faculty: John Baillitz, Matt Dawson, Mike Stone, Laleh Gharabaghian, Vicki Noble, Adrian Goudie, Justin Bowra, James Rippey, Casey Parker, and others! If you can find your way around the human body with an ultrasound probe but want to step up to the next level, then this is the workshop for you! A mind boggling array of elite sono-educators will help you finesse your hands-on and between-the-ears emergency ultrasound skills. NEW modules at SMACC Booth #432.